Ignorance is bliss. So you might want to stop reading if you want to stay blissful. I probably should have realized it before but I should not watch documentaries. At least if I want to stay ignorant. After all, I was happy being ignorant about eating myself to death before I watched Forks Over Knives a few years ago. 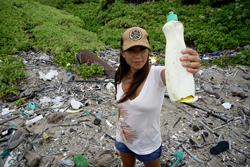 And I was happy being ignorant about plastic before I watched Plastic Paradise: The Great Pacific Garbage Patch. The end result of watching both of these two documentaries is that I had to change my mind. And my body. 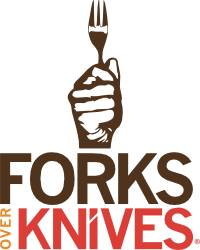 I watched Forks Over Knives three years ago at the suggestion of my doctor during a physical examination. I needed to lower my cholesterol and triglycerides because I was pre-diabetic and I did not want to go down that path any farther. After all, I have seen my parents and one grandparent have to give themselves injections all the time. Not that I hate needles or anything (I always watch when my blood is drawn), I just figured that there was a way to avoid diabetes with diet and exercise. So I listened to my doctor and watched the movie. Three years later, I am still not eating meat or dairy. (I still eat a little seafood and eggs.) But I am no longer pre-diabetic. Not even close according to my doctor (who eats the same way). To be sure, the documentary was not the only thing that changed my mind and body, but it helped me get educated. Unlike the task of taking care of my own body, I did not really want to be more educated about plastic. 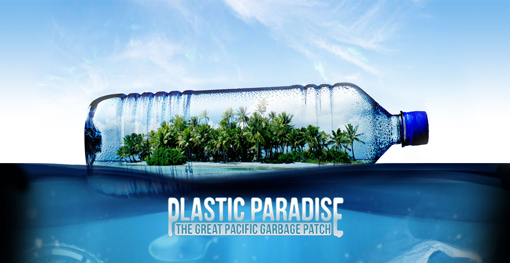 Even after watching Angela Sun’s movie, Plastic Paradise: The Great Pacific Garbage Patch, I do not really want to know more. It seems I already know too much. After all, who really wants to know that his or her own actions affect everybody else on the planet? Who really wants to know that the choices he or she makes affect people for generations to come? Not me. I was happy being in ignorance of the facts. I was happy not knowing that plastic is just piling up on our planet. And in our bodies. I have known for a long time that plastic does degrade with sunlight. You can see a piece of plastic get brittle and break up over time and exposure to the sun. What I did not know is that the plastic does not get broken down into its component parts, carbon and whatever else make it up. Instead, it just gets broken down into smaller and smaller and smaller pieces. It never goes away or gets absorbed into the earth as fertilizer or anything. That is appalling to me. Even though I may never see it, I know that each piece of plastic I ever use will never go away. Ever. The more scary thought though is that some of that plastic may get into my own body and stay there. The grossest parts of the Plastic Paradise documentary were seeing a dead albatross with plastic in its stomach and dead fish with plastic in their bodies. I cannot even imagine swallowing plastic (actually I can, but that is a different, more humorous story), but I can imagine eating fish which have tiny bits of plastic in them, which puts tiny bits of plastic in me. Gross. And scary. There were other parts of both documentaries that made me think, but when it comes right down to it, I know that the choices I make affect the earth and the people around me. Using one-time-use plastic containers is not a choice I like to make and after watching the documentary will now try to keep away from. But plastic is with us forever. At least the stuff that is already made. It is funny, but the thought that keeps going through my mind as I think of both Forks Over Knives and Plastic Paradise comes from Genesis. God told us to take care of the earth and be good stewards of it and each other. Today, we cannot even take care of our own bodies, much less the whole earth. When it comes right down to it, we need to take care of ourselves, each other, and this planet we call home. We need to look at the choices we make and know that each of those choices could potentially affect generations of people to come. I knew this before I watched the documentaries. But sometimes we need to be reminded. Even if it would be easier to stay ignorant. And in bliss.